They’re probably the issue you’ll be worrying about most frequently, but thankfully fleas are one of the easiest things to prevent if you treat your cat, dog or rabbit on a regular basis. Thanks to various online suppliers, effective flea treatments are now very affordable, and we’ve found an additional saving in the form of our current Monster Pet Supplies promotional code that gets you £5 off your first order when you spend £70 or more – the perfect opportunity to stock up on not only essential healthcare products but also pet food too. 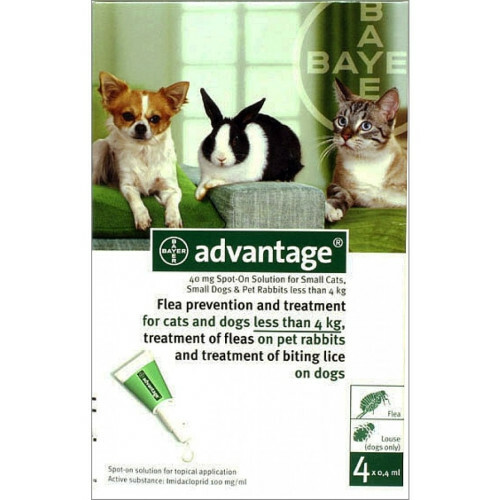 When it comes to flea treatments, they’ve got all the best brands at some very good prices – use our Monster Pet Supplies discount voucher to save £9.51 on the Advantage Flea Control 4 Pack (RRP: £18.61, now £9.10), £10.90 the Frontline Flea Spot On for Cats 3 Pack (RRP: £22.70, now £11.80) and if you need to tackle the blighters in your carpets, there’s the Acclaim Household Flea Spray (RRP: £19.99, now £17.69). Use can also save on their very competitively-priced worming products with this Monster Pet Supplies promo code. Sometimes our pets need extra attention when it comes to food, especially if they’ve been ill of have an ongoing condition. Of course, you can get access to specialist products through your vet, but there are also online suppliers such as Zooplus.co.uk that can offer a wide range that aren’t available in stores. You can use our Zooplus.co.uk voucher code to get 5% off your order when you spend £75 or more, so stock up on products such as Velcote Supplement for Skin and Coat (£12.99 before discount), Happy Dog Multi-Vitamin Mineral (was £13.99, now £9.99 before additional discount) and Gimcat Multivitamin Paste (was £8.99, now £6.99 before additional discount). You can also use this Zooplus.co.uk discount code to save on top quality cat and dog foods with a higher meat content than standard foods. For those who can’t resist a pet with long locks, grooming is going to be a concern (and sometimes hazard depending on the mood of your pet!). The cost of professional grooming services can be eye-watering, so why not give it a go yourself? You can use our Groomers Online coupon code to save on tools and accessories with up to 50% off selected lines, and by far the best value on offer with this Groomers Online voucher code is their range of ‘pre-loved’ products. Save on a secondhand Andis Excel 2 Speed Clipper in Grey (was £161, now £140), a pair of Groomers Elite 7.5” Blending Scissors (were £56.40, now £45) and a Mikki Pro Slicker Brush (was £9.25, now £6.47). Looking after your pet does not come cheap, but if you shop around for the best prices using our Monster Pet Supplies discount codes, Zooplus.co.uk coupon codes and Groomers Online voucher codes, then keeping your pet in good health becomes much more manageable and affordable.